And kill zombies, if you're into that. Even though surviving in a post-apocalyptic wasteland, scavenging for food and water, and living in constant fear sounds like fun, it can certainly get exhausting. Sometimes you want to just sit back, bring a few high-powered weapons to bear, and mow down waves of mindless zombies. Hence, State of Decay 2's "Daybreak" DLC. Instead of the game's usual fare of supply-centric survival, "Daybreak" puts players in the boots of powerful Red Talon mercenaries as they fight off waves of zombies (7, to be exact) while defending a technician who is too busy doing technician things to protect themselves. Crucially, rewards earned during "Daybreak" feed back into the main campaign. "Daybreak" came out last month, and two patches to the game have arrived in the time since. The SoD2 devs decided to take some time out of their busy workdays to explain what both "Daybreak" and the most recent patch, 4.2, add to the game. 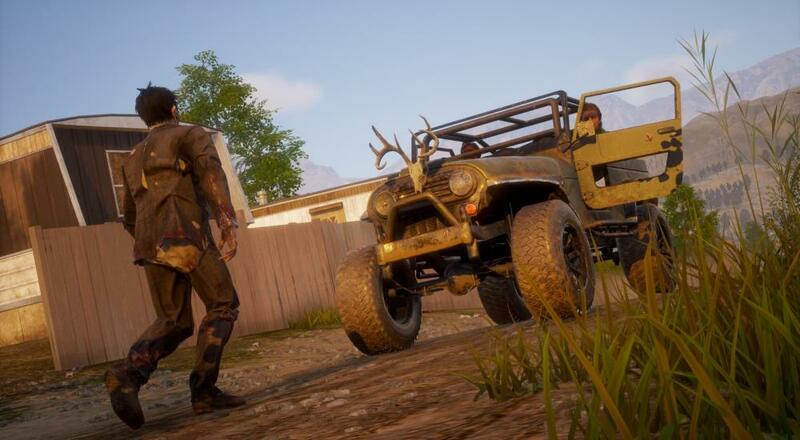 State of Decay 2 is available to PC and Xbox One owners and offers online co-op for up to four players in both the main campaign and the new "Daybreak" DLC. If you're interested enough to check out developer videos, I'm guessing you already own a copy of the game. If you don't, though, and you'd like to find out more before deciding on a purchase, check out our review here.